Old Forge, PA. From Modern English and the Hooters to Bananarama and the B-52s, the music of the 1980s bounced to a distinctive beat that defined the decade as one of the last great glory eras of pop music. And thanks to the dawn of MTV and shows like “Friday Night Videos,” a generation of music lovers suddenly had faces — and often elaborately staged mini-movies — to make the music’s messages stick. 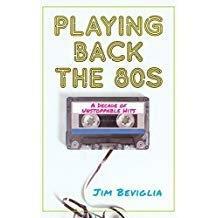 To get to the heart of what made this decade’s music so special that it still streams endlessly in businesses and on satellite radios everywhere, music journalist Jim Beviglia weaves an en-tertaining narrative of the stories behind the phenomenal pop music era in Playing Back the 80s: A Decade of Unstoppable Hits. 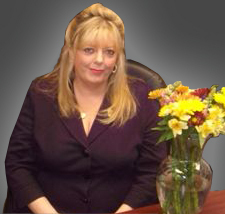 Anyone who’s ever rocked a mullet or painstakingly made a mix tape will find memories in every line of lyrics as Beviglia delves deep into the creative process with artists such as Huey Lewis, Rick Springfield, Kim Carnes, Vernon Reid, Dennis DeYoung, Colin Hay and Eddie Money. All told, Playing Back the 80s features original interviews with more than 60 artists, producers, session players, writers and others who were directly involved with the most memorable songs of the decade, sharing the stories of how they created — often against im-posing odds and in the midst of bizarre circumstances — the unstoppable hits and unherald-ed gems that still enchant so many fans today. Playing Back the 80s will have music fans pulling their old cassettes out of storage and re-membering when and where they heard the songs first. For those who didn’t grow up in the 80s, this endlessly fun book will show them what the fuss was all about and maybe reveal a few surprises along the way. Jim Beviglia is the author of Counting Down Bob Dylan: His 100 Finest Songs; Counting Down Bruce Springsteen: His 100 Finest Songs; Counting Down The Rolling Stones: Their 100 Finest Songs; and Counting Down The Beatles: Their 100 Finest Songs, all published by Rowman & Littlefield. In addition, Beviglia is the featured writer at American Songwriter mag-azine, where he writes about both new and classic artists for the print and online editions. He also hosts his own blog at countdownkid.wordpress.com, where he focuses on the back cata-logs of some of rock and pop’s greatest artists and songwriters.